Very close FOV. See Field of view (FOV). Parker's Government Handgun + Custom Part: "FBC"
Approx. 2 MB available. Save file and key bindings. Support for 1440x900 and 2560x1440 has been added. Highest supported resolution is 2560x1600. 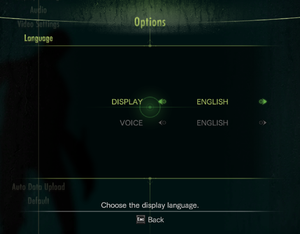 Attempting to increase resolution in the config files will cause the game to crash after the first menu. FXAA only (up to FXAA3HQ). Can see SMAA for better edge smoothing. 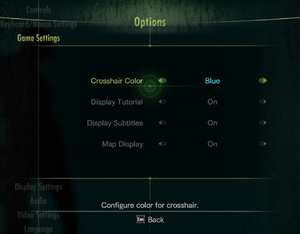 Launch Widescreen Fixer and select the game from the drop down menu. 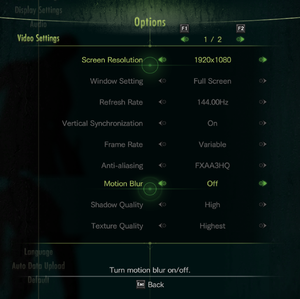 Click the settings cog icon, disable Automatically Detect Resolution and enter your display count/resolution manually; otherwise the menu/HUD could be scaled incorrectly. 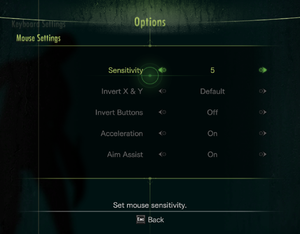 Adjust the FOV slider to the desired vertical FOV. 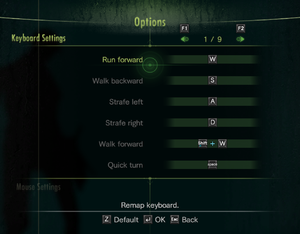 Go to the Settings tab and set the toggle hotkey if you wish. 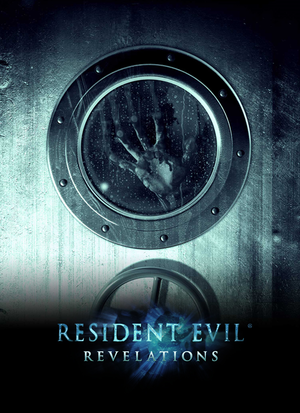 Start the game and once you've passed the start screen with the big eye, use Alt+Tab ↹ to go back to the desktop, then you can enable the fix by pressing the hotkey, finally go back to the game. Game refuses to use changes from config file. With DirectInput, use XInput wrapper. 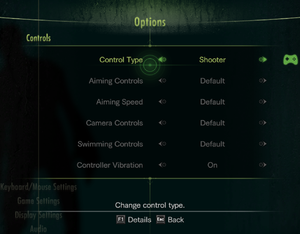 For DualShock prompts use the DualShock Button Prompts mod. 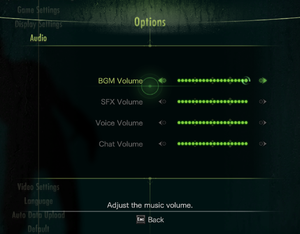 Four sliders control music, SFX, voice and chat volumes. ↑ 1.0 1.1 File/folder structure within this directory reflects the path(s) listed for Windows and/or Steam game data (use Wine regedit to access Windows registry paths). Games with Steam Cloud support may store data in ~/.steam/steam/userdata/<user-id>/222480/ in addition to or instead of this directory. The app ID (222480) may differ in some cases. Treat backslashes as forward slashes. See the glossary page for details. This page was last edited on 16 April 2019, at 10:37.